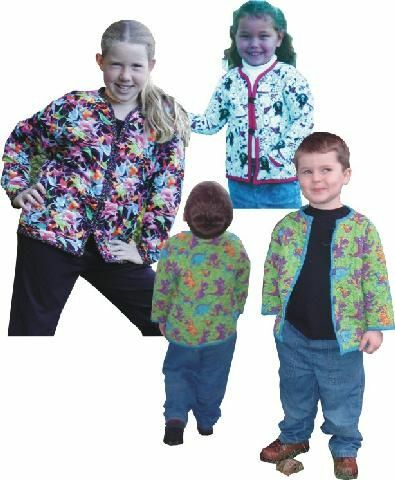 The Kid's Kick About Jacket is just like the Kelsey Wholecloth Jacket but smaller. Sizes are determined by the size of the sweatshirt you use. Three pocket options are included in the pattern. Do not use "Girl's" sweatshirt as their sleeves are too narrow. Recommend using a sweatshirt two sizes larger than needed.